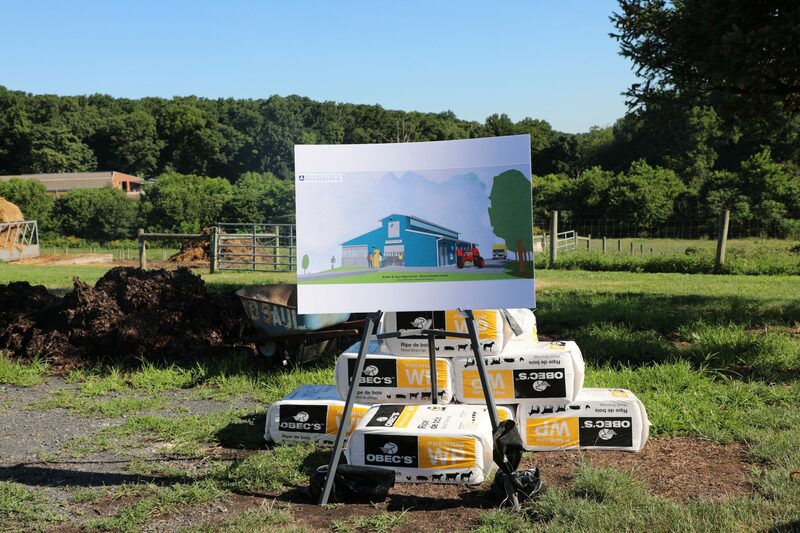 PHILADELPHIA – The School District of Philadelphia today broke ground on a new, $1 million state-of-the-art Livestock Center at W. B. Saul High School, the only school in the state dedicated to agriculture and food science, horticulture, animal science and natural resource management. 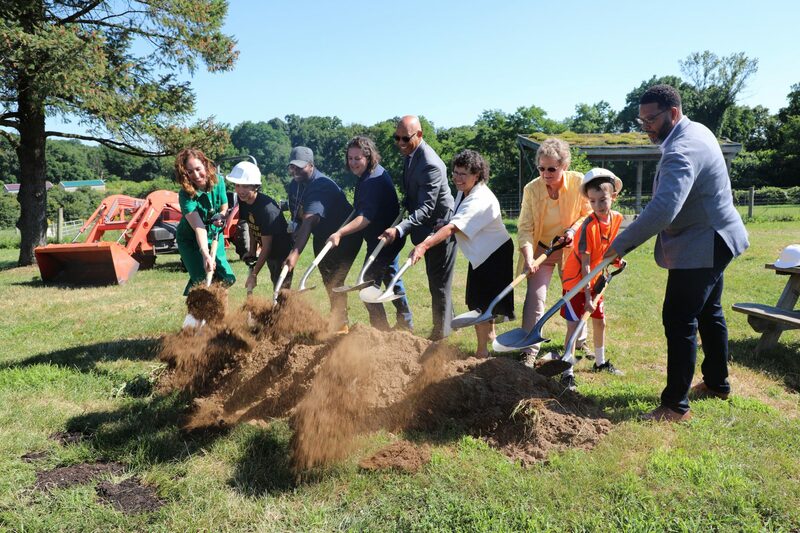 Several city and state officials attended today’s groundbreaking, including Pennsylvania Deputy Secretary of Agriculture, Cheryl Cook, the City’s Chief Education Officer, Otis Hackney, City Councilman Curtis Jones, state Rep. Pam DeLissio, and Lee Huang, member of the Board of Education. Principal Alexa Dunn and teacher Gail Koskela also joined the celebration. Animal pens will be enclosed with agricultural curtains, which, along with industrial fans, will facilitate ventilation to manage air quality while reducing energy consumption. An improved stormwater management system will provide for rainwater from the roof to be captured and used to irrigate nearby crops. Restroom facilities and equipment storage space will improve student hygiene. The properly enclosed facility will allow for better animal health and protect lambs, in particular, from harsh winter weather. Medical and feed storage space limiting pest access will reduce waste. Flexible animal pens, dedicated medical and wash rooms for the animals, secure storage, toilet rooms and a student equipment room will be located around a wide central corridor, providing for improved accessibility. An open center space will provide a vantage point where students and visitors can easily observe the facility’s activities. Jose Penados is a rising senior Animal Science major at Saul High School who also attended today’s groundbreaking ceremony. Approximately 200 students are expected to regularly use the facility when it is complete. The new facility will specifically enhance opportunities for learning animal reproduction and genetics, nutrition, anatomy and physiology, and animal behavior and husbandry. Animal Science majors at the school are provided the unique opportunity to select project lambs to raise, show and sell at the annual Pennsylvania Farm Show in Harrisburg. Lambs are also expected to be born at the new facility in March and interested viewers can watch a live stream of the exciting event at saul.philasd.org/live-stream. “We are proud to have an innovative facility that will shape how Saul students and teachers engage in large animal science, and prepare students for the career and academic pathways ahead of them,” said Principal Alexa Dunn.